As part of the City of Asheville’s East of the Riverway Initiative, this project focuses on an assessment of redevelopment and open space options on 10 acres of City-owned land. ADC is part of local team includes landscape architects, urban designers, an architect, an engineer, and a real estate economist. Asheville’s Riverside Drive is poised for growth in the near future. Once a heavy industrial area, Riverside Drive has experienced a resurgence in the last 20 years propelled by a bustling artists’ community. Residents and visitors will soon be drawn to the River Arts District to experience the Wilma Dykeman Riverway, the largest multi-modal infrastructure project in Asheville’s history. 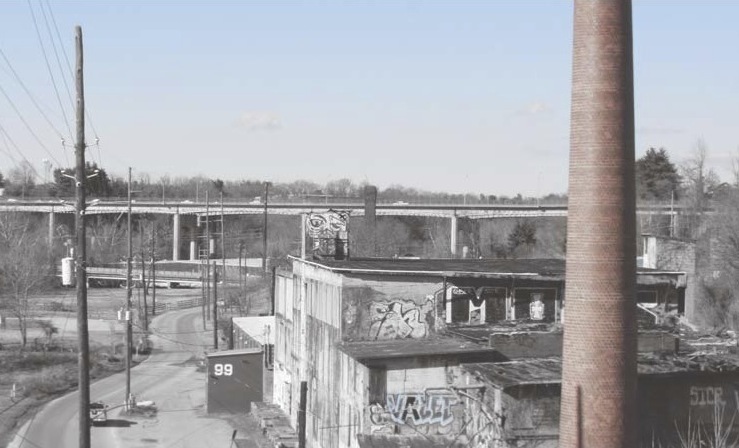 A redevelopment feasibility analysis (RFA) and recommended strategy for selected City-owned economic development property to the east of the proposed realignment of Riverside Drive that will occur on account of the River Arts District Transportation Improvement Project (RADTIP). An open space concept plan (OSC) and recommended strategy for City-owned green space to the west of the proposed realignment of Riverside Drive that will occur on account of the River Arts District Transportation Improvement Project (RADTIP). An appendix of issues, projects and concerns identified by the consultant, the City and the community, that reside outside the scope of work of this project but that need further consideration. The recommended strategies developed as a result of these activities must aim to transform this area’s underperforming features into assets of regional significance. Special attention will be given to strategies that strengthen the district as a place that supports arts and culture, that feature sustainable riverfront redevelopment practices, and provide a high return on investment for the community. Used as an ice plant until the 1960s then converted to an ice management service, this City-owned Brownfield site occupies 3.4 acres across from Jean Webb Park and ADC’s 2013 DesignBuild project, the RAD Pedestrian Bridge. 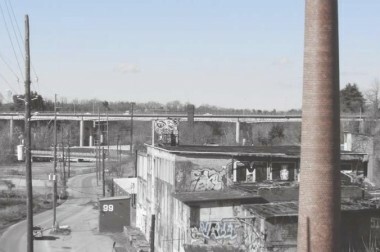 The site has recently been cleared, while the smokestack remains. 14 Riverside Drive is a .29 acre site that was recently donated to the City by Scana Energy/PSNC. 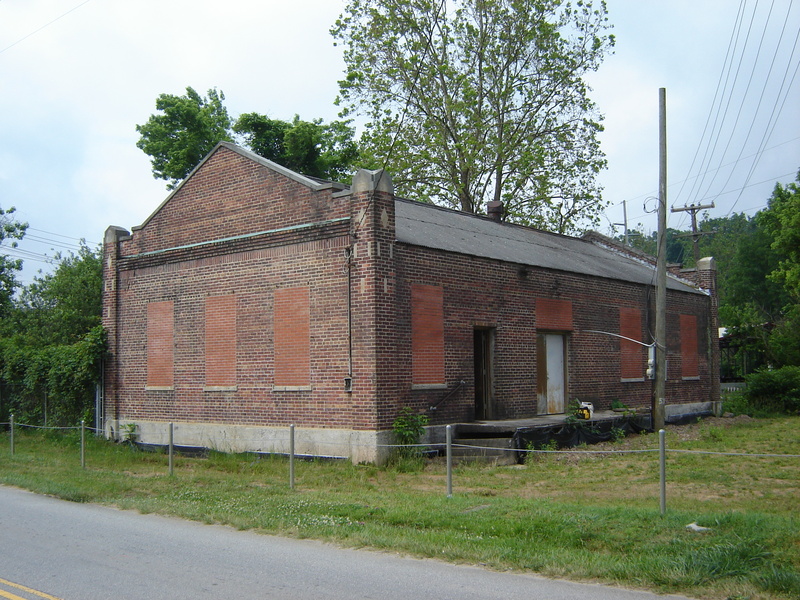 The City successfully obtained a Brownfields Agreement on the property through the state of North Carolina Department of Natural Resources. 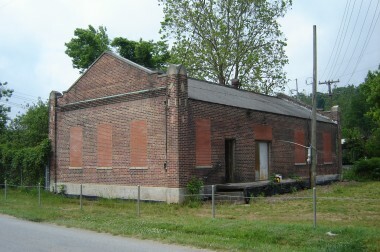 The site includes a 1,800 square foot masonry building, some undeveloped parking and open space, and the mouth of an unnamed creek that flows through the future Clingman Forest Greenway area before joining the French Broad River.